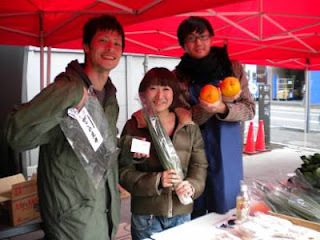 Staff at Koenji's little monthly market happy and smiling despite a chillly day! The month rounds out with the Gyre Market and a handful of others to keep us in good stead before May is arrives. Crops at the farm are almost all in and my garden should be steadily rolling along towards summer, too. Head on out to see what this middle season has to offer!